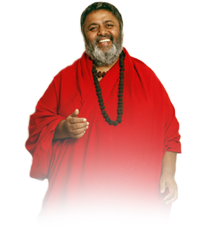 Babaji is going to be in His deep sadhana in seclusion, which is for the benefit and deep healing of all Shiv Yog sadhaks. As Babaji said, this would be the best time to learn to connect with Him subtly rather than physical because this is what he essentially wants to teach every sadhak to do in this great period of ascension. Babaji has been working hard for the past two years for human upliftment and now He wishes to assist those wishing to ascend in the subtler dimensions. Babaji will be praying for very deep healing of all sadhaks but wishes that all now begin practicing now in depth the basics of Shiv Yog teachings that has been the foundation of all His shivirs. This is a great move and a great opportunity for sadhaks who are moving on the path of Shiv Yog. You can also download the same message in audio and English script below. Me & my wife both are following your order and practicing Durga Shaptsati,Shree Vidhya Sadhna daily, after attending last Surat and Vadodara Shivir.